When Sammy has started sitting on her own, everyone was excited to see her walk already... And now that she has perfectly mastered her strides, who's following her, pacing with her all the time? It's not everyone, it's just me! Where are they now? Oh, they're chilling on the side, laughing and saying how cute she is. Haha! Well, if not for the summer heat, I wouldn't complain as I felt like I lost a lot of weight by doing so. But then again, the weather just makes me want to scoop her up and carry her as long as my back can handle. Don't get me wrong, mamas. I would love my terrific toddler to have as much freedom as she deserves but let's be real, running after a toddler isn't easy. It requires many underrated traits and character that parents and caregivers should embody. Would you like to know some? I got a few basics here. Quick reflexes. Moms are superheroes, yes? It's a non-negotiable. If you're the ladylike type when you weren't a mom yet then that has to change! I'm sure you don't want to just scream or weep when you see your tot walking towards your hot coffee... and spilling it on your favorite bag. Cheery smile. The more you show weariness, the more toddlers run away from you. I noticed just today when we were at the bank that the more I make silly sounds and faces, the more she stays with me. Or at least around me. But when my cheekbones got tired and automatically went to poker face, oh gosh, she thought I went blind and just scooted off. Prudent no matter what. Moms should know when to relax and trust the people around her but who are you kidding? The world is full of demons and while we always pray for protection, we must not be negligent to the fact that once our kids can walk on their own, there is also a big possibility that they can walk with a stranger. If putting them on a leash can make you feel secured, we won't judge. I get you 100%. Makes informed choices. Parenting will always be tough but thank God for technology, information is just a few clicks away. That's when us mom bloggers enter the scene with unicorn bows and confetti! We can provide personal stories alongside our experiences with certain products. So allow me to tell you that I'd rather make Sammy walk barefooted than wear the wrong shoe. It was an issue before here at home since we have tiled floors that can get cold. But when I read that it's better for toddlers to go barefoot since it encourages balance, posture and coordination, it was never a concern. Of course, she has to wear shoes when we're out. We're not savages, haha. So I researched about it. I want it to be gentle for her precious feet but sturdy enough for long and impulsive walks. The universe was on my side — I found out about Freycoo! It's one of the most recommended footwears by moms and pediatricians but it isn't as pricey as other brands. 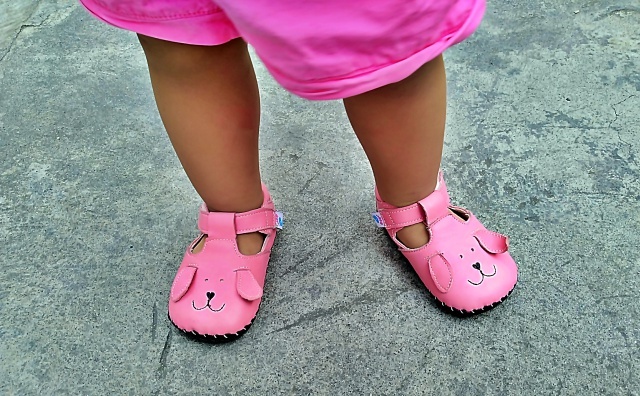 According to Dear Baby's website, "Freycoo has been specializing in infant and children's footwear since 1996. Freycoo is dedicated to make sure all the shoes are elaborately tailored to fit your child. Using high-quality, finest leather and toxin-free materials and innovative designs, Freycoo is sure to give your child comfort and ease while being in style. You'll also have peace of mind that all Freycoo's shoes have passed rigorous testing of safety compliances for CPSIA (United States Product Safety and Improvement Act) to make sure that all shoes are safe and toxin-free. Freycoo wish to witness the first step that your child take and devote to keep providing beautiful quality shoes at a very affordable price." Like Royal Domesticity and Choose Freycoo on Facebook. Follow Royal Domesticity and Choose Freycoo PH on Instagram. Post your choice of Freycoo shoes on Facebook or Instagram then tell us why choosing the right shoes for your toddlers is important. Post must be in public, Freycoo and I must be tagged and use the hashtag #RDxFreycooPH so I can see it. Kindly include the link of this post so others can join, too. Disclosure: This post is in collaboration with Freycoo Philippines but all thoughts and opinions are my own. True. 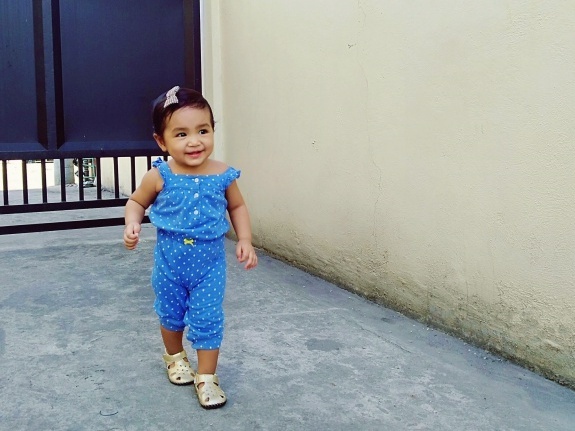 I let my daughter na mag-explore sa bahay at sa hallway ng building namin na nakapaa. 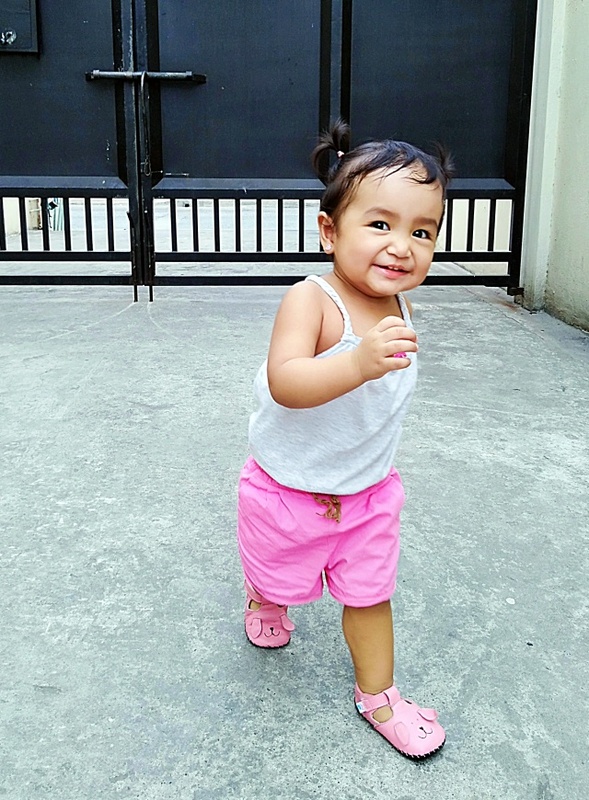 Kaya madali rin siya nakalakad at nakakagabay nung 1 year old siya.